Scott Plott went missing on Feb. 15, 2019, along with his younger brother. The younger brother has since been found but Scott is still missing. The teens went missing from a community on the Georgia-North Carolina border. 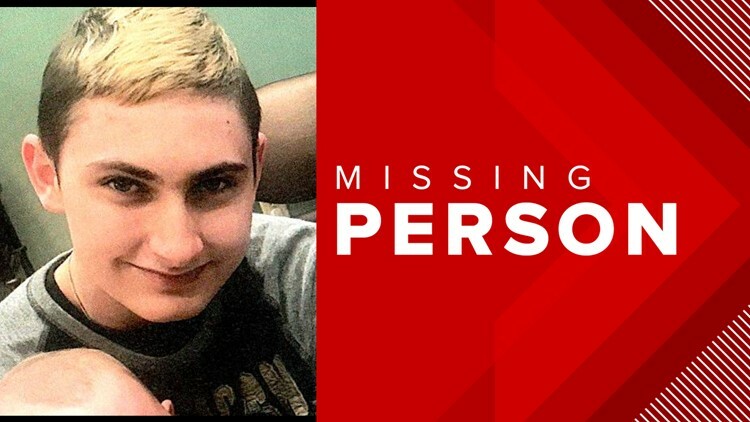 HAYESVILLE, N.C. -- A 13-year-old boy missing from North Carolina since mid-February has been located - but a national search for his brother is still underway. Deputies in Clay County, North Carolina last put out the notice that they were searching for 13-year-old Joseph Plott and his 17-year-old brother Scott on March 5. That notice was soon shared by the National Center for Missing and Exploited Children. Both teens disappeared on Feb. 15 and officials thought they may still have been in the area. Over a month later, on March 22, the Clay County Sheriff's Office updated that Joseph had been found and was safe. However, Scott is still missing. Scott is described as about 5 feet 8 inches tall and 138 pounds with blue eyes and brown hair - though it was dyed blonde the last time he was seen. Scott also has a tattoo on one of his legs and a flame design on his forearm. In their earlier notice, the Clay County Sheriff's Office said the teens may have still been in the Hayesville, North Carolina area - though it's unclear if that's where authorities found Joseph or if the same still holds true for his brother. Anyone who has information on Scott Plott's location is urged to call 911, 1-800-843-5678 (THE-LOST), or the Clay County Sheriff's Office at 1-828-389-6354.